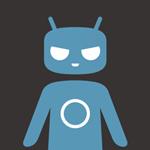 These are all CM12 builds, which means you'll get some sweet Lollipop action if you install them. To do so you'll need an unlocked bootloader. Many Sony phones support bootloader unlocking through the dev program, but that will affect camera performance on some devices. Fair warning. Being a nightly, there are bound to be bugs. Just know what you're getting into and keep things backed up.